Adoption Profile - Hopeful adoptive parents, CJ and Patrick, wish to adopt a baby. Thank you for taking the time to get to know us. We admire your bravery and courage in considering adoption. 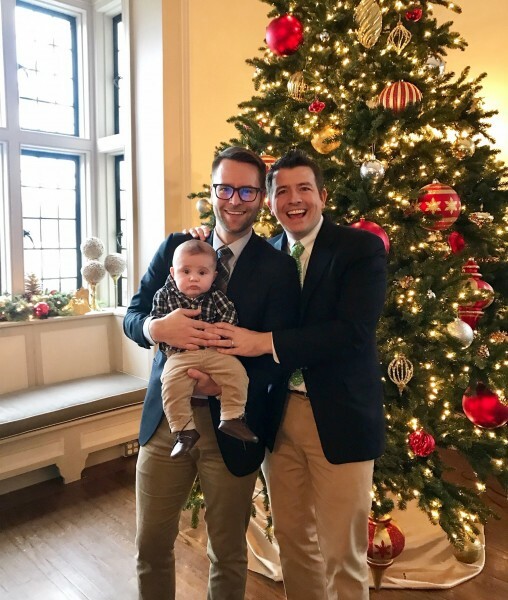 We recently expanded our family and welcomed our son Jack though adoption. We are eager and excited to continue growing our family and Jack can't wait to be a big brother. We are grateful to have this opportunity to share our story and we look forward to getting the chance to know you better. 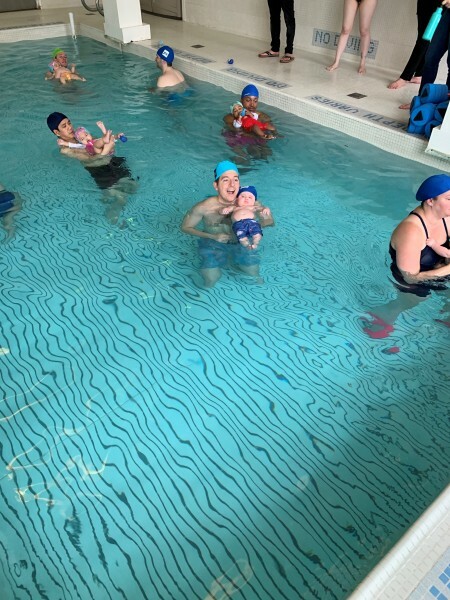 Swim class with daddy P! Our story begins when we met in Hoboken, NJ in the fall of 2012. We struck up a fast conversation and realized very quickly we both had many things in common, amongst them mutual careers in real estate, love for arts and sports in general, specifically football. Also, we learned that we lived on the same street, just a few blocks away from each other. After dating for two years, Patrick proposed to CJ on the roof of a building in Manhattan as the sun set on a fall day. About a year later, we married in Nantucket, Massachusetts, an island in the Atlantic, surrounded by our families and friends. This was a special place as it was our first vacation spot together and has become a yearly vacation tradition. We moved across the river from New Jersey and now live together in upper Manhattan and both work in New York City. Since we first met, we always knew we wanted children and look forward to building our family and writing the next chapter of our story together. Patrick was born and raised in northern New Jersey, the third of four children. His parents, Betty and Carl, have been married 45 years and split their time between NJ and Naples, FL and can't wait to welcome a sixth grandchild to their family. We love visiting them down in Florida in the winter to enjoy the warmer weather, the pool and the beach. Summers in NJ are perfect for barbeques and family get togethers. Patrick's older sister Cara, and her husband, Bryan, live in northern NJ (about a half hour from Patrick & CJ) and have three children – Brynn (9), Whitney (8) and Reid (6). Patrick's middle sister, Amanda, and her husband, Jarrod, live in Harrisburg, PA and have two children, Colter (5) and Everly (newborn!). All five of the cousins love to play together and look forward to adding another cousin to the mix. Patrick's younger brother, Kevin, is ten years younger than him and lives in northern NJ where he is an elementary school teacher and is also an excellent babysitter. 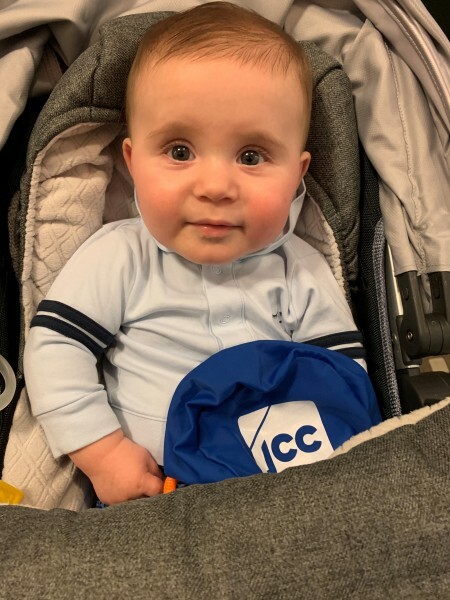 Saturday, we hosted a Sip and See for our friends and family to meet Jack who is now two months and a week old and growing into a big boy, 13.2 lbs! The theme was “Ribs and Bibs” and we held it at the roof space of a building that CJ used to manage. It was a beautiful fall day and we had over 50 people join us. Nanny Betty, Aunt Cara and Uncle Bryan came in from NJ with their three kids – who took turns holding their newest cousin. Friends from as far back as elementary school came and a lot of CJ’s colleagues came as well. A number of our friends brought their kids and they had fun with each other playing card games like “Go Fish” and “Old Maid” and decorating pumpkins just in time for Halloween. We had Dinosaur Barbecue for the food and the ribs were delicious! Jack had a special BBQ cake – which was red velvet flavored. It was so much fun to introduce Jack and spend a Saturday afternoon with all our closest friends and family! Our family and friends are so important to us and we look forward the next get to gather! In late July, we traveled out west to the Idaho/Oregon border town of Ontario to meet the newest addition to our family. We had the chance to spend some time with the birth mother, her children and her family and friends, and late in the evening of August the 2nd, our first child, John Carl “Jack” was born and it was LOVE at first sight for us. He was a healthy baby boy and weighed in at 7 pounds, 2 ounces and 19 inches long. We spent the night with him at the hospital and it was an emotional night we will never forget. The following day we took him home to our hotel in Boise for the next week while we waited to get approval from the states of Idaho and NY to come home. 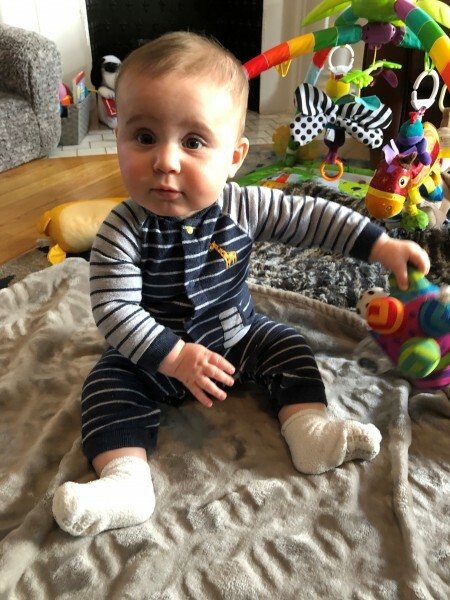 We had an exciting few days with him in Boise – going on some walks, visiting the zoo, getting our first check-up and spending time with his grandmothers who also made the journey out with us. On Jack’s one-week birthday – we flew back to New York city, via Dallas. 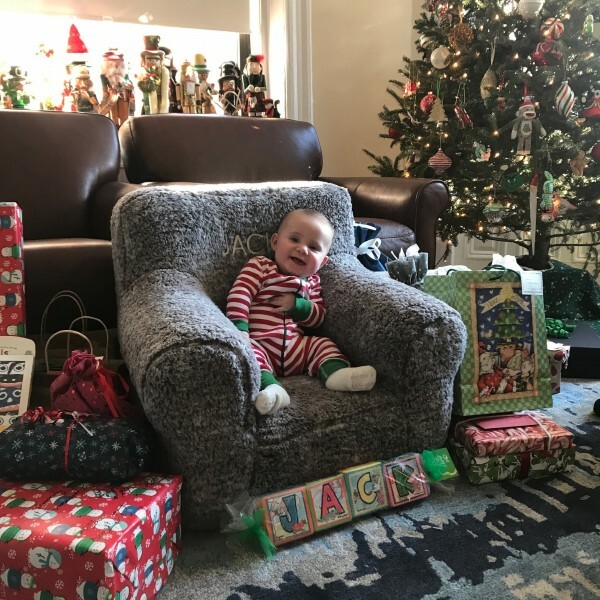 By the end of the day, Jack was home in NYC, having already visited 5 states in his first week on the planet. His big “dog” brother Hamlet, our Great Dane, was excited to meet him. We’ve had lots of friends and family support and visits. It’s be a dream come true and we are so excited and blessed to have this addition to our family!